Illumina has agreed to acquire Pacific Biosciences for approximately $1.2 billion, in a deal designed to expand the sequencing giant’s offerings with PacBio’s long-read sequencing technologies. The companies said their deal will create a sequencing powerhouse that will combine Illumina’s short-read technologies with PacBio’s long-read sequencing capabilities more suitable for de novo sequencing and sequencing of highly homologous regions of genomes. The complementary offerings, Illumina and PacBio assert, will draw more researchers and clinicians as customers over time—and ensure that Illumina continues to dominate the sequencing market, where it is already the top company as ranked earlier this year by GEN, with 2017 revenues of $2.752 billion, comparted to PacBio’s $93.5 million in revenue and number-seven ranking. The acquisition announcement came the same day PacBio announced third-quarter results that saw a net loss of $25 million, up from a net loss of $22 million for Q3 2017. Total revenue shrunk to $18.2 million, from $23.5 million a year ago, with the company citing lower instrument shipments and consumables sales. However, PacBio restated plans to launch its 8M SMRT Cell and platform for the Sequel system next year, with early access use to start during the first quarter. The new platform promises to double throughput to up to 20 Gb /SMRT cell, increase average read length up to 30 kb from up to 20 kb, and reduce costs significantly. The improved chemistry was a key driver in the deal, as well as PacBio’s improvements in accuracy, Illumina CEO Francis de Souza told analysts yesterday. “The accuracy that you can now achieve with long-read technologies essentially is on par with what you can achieve with SBS [sequencing by synthesis] short-read technology. For us, that was critically important,” deSouza said on a conference call. “For us, that was the threshold. You had to be able to get to roughly about a Q50 [99.9999%] consensus accuracy for the technology to fit within the portfolio of what were looking to do. From our perspective, Pacific Biosciences was the only long-read technology that met that threshold. deSouza said the combined company will expand its markets to address opportunities it sees in de novo assembly, plant and animal genomics, functional genomics, tissue transplants, and pharmacogenomics. He said the long-read market was projected to grow at a compound annual growth rate of 30%, from $600 million in 2017 to $2.5 billion in 2022. PacBio is one of two major players in long-read sequencing. The other is Oxford Nanopore Technologies, the developer of the pocket-sized MinION real-time DNA/RNA sequencer and other nanopore analysis devices. Last month, Oxford Nanopore attracted a £50 million ($66 million) equity investment from Amgen. 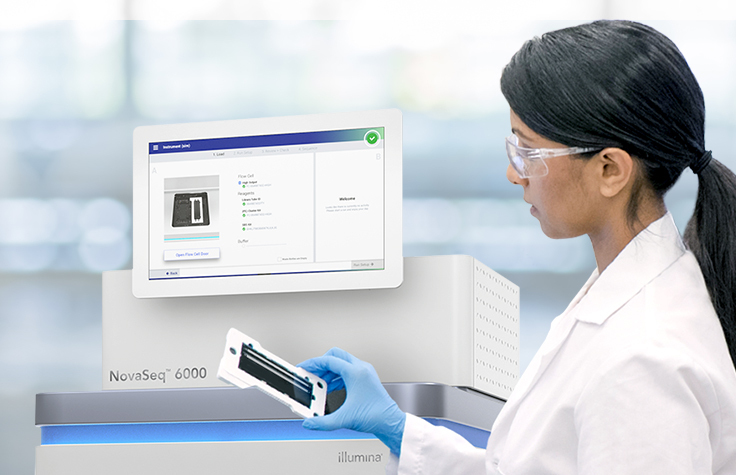 Illumina most famously enabled the $1,000 genome in 2014 when then-CEO Jay Flatley CEO Jay Flatley jolted that year’s J.P. Morgan Healthcare Conference by announcing the HiSeq X10 system, sold in sets of 10 with each capable of generating up to 1.8 terabytes of sequencing data in less than three days. “You are trying to find needles in haystacks, and you have to look at lots and lots of needles to fundamentally understand the genetic basis of human disease. We now have the capability to do this,” Christian Henry, Illumina’s senior vp and chief commercial officer, told GEN at the time. Henry, who left Illumina in 2016, was appointed by PacBio to its board in July. Both companies enjoyed double-digit revenue jumps last year: Illumina rose 15% on increased clinical activity: Last year, Illumina launched its second FDA-regulated and CE-IVD marked NGS system, NextSeq 550Dx, designed to extend NGS to clinical labs; and partnered with China’s KingMed Diagnostics to apply its NGS technology toward novel oncology and hereditary disease testing applications. PacBio saw a 19% jump in product and service revenue for reasons that include growth in China, where the company announced two significant purchases of its Sequel® system sequencers by Chinese customers, Annoroad Gene Technology in March and BGI Genomics in January. The latter also reflects PacBio’s growing presence in plant and animal sequencing. BGI is the third-largest sequencing company as ranked by Clinical OMICs, behind number-two Thermo Fisher Scientific—which was speculated two years ago to have offered to buy Illumina for $30 billion, according to a report that was never confirmed. Analysts at Evercore ISI told Reuters that PacBio’s complementary tech will benefit Illumina by enabling it to deploy capital constructively, while Leerink analyst Puneet Souda observed that the deal “plugs an important gap” in the company’s portfolio, Wall Street news outlet The Fly reported. At $8 per PacBio share, Illumina’s offering price represents a 71% premium to PacBio’s 30-day trading volume weighted average share price as of the close of market trading on Wednesday. The boards of both companies have approved the transaction, which is subject to approval by PacBio shareholders as well as customary closing conditions that include regulatory approvals. Illumina said it expects to close the transaction in mid-2019.